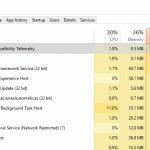 The Windows Modules Installer Worker process using a high percentage of CPU is a relatively common issue faced by all Windows users. If you are troubled frequently by this problem and are looking for a permanent resolution, then you have landed in the right place. 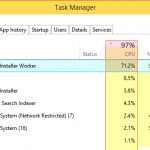 In this tutorial, we are going to explore different methods to resolve the high CPU usage problem involving … [Read more...] about How to Fix Windows Modules Installer Worker High CPU Usage? 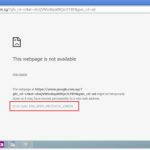 Are you getting an error message saying "This webpage is not available" with the error code "err_spdy_protocol_error" while browsing webpages on Google Chrome? If you are looking for a permanent resolution to get rid of the "err_spdy_protocol_error" error message, this article can help you out. What is SPDY Protocol? Before we go through the steps to fix the error, … [Read more...] about How to Fix “err_spdy_protocol_error” in Google Chrome?